"I think it's very, very important to remember that we didn't come to this moment hastily," says former General Conference president Jan Paulsen in a just-released video from Adventist "elder statesmen." 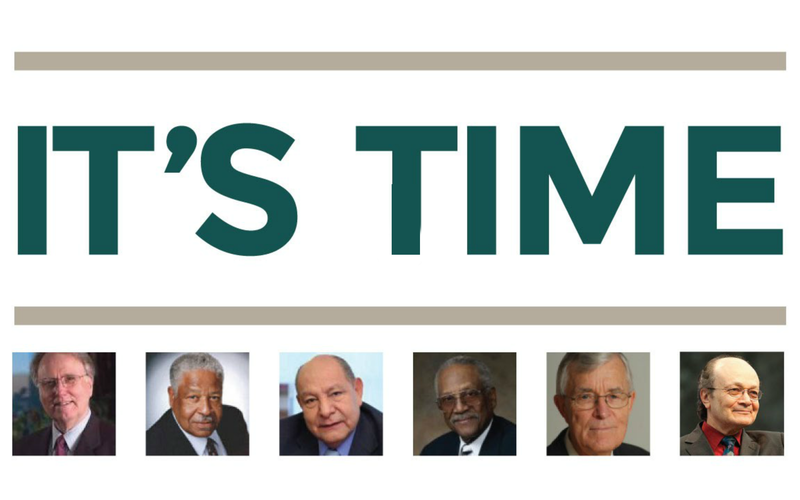 The video, "It's Time," features six senior Seventh-day Adventist Church leaders who are speaking out publicly, some of them for the first time, in favor of allowing women's ordination to move forward. In addition to Elder Paulsen, Ted Wilson's immediate predecessor as president, the video includes statements from Pastor Charles Bradford, president of the North American Division from 1979-1990; Elder Alejandro Bullón, a pastor and evangelist to South America and throughout the world from 1969 to the present; Pastor Calvin B. Rock, General Conference vice president from 1985 to 2002; Elder William G. Johnsson, editor of the Adventist Review from 1982 to 2007; and Elder Angel Rodriguez, a theologian for the Biblical Research Institute from 1987 to 2011. The five-minute video contends that "It's time to put mission first." The video was released on a website called "From The Heart: Thoughts on Mission and Unity from Adventist Elder Statesmen," and it spread quickly on social media. Zdravko Plantak, a professor of Religion and Ethics at Loma Linda University wrote on his Facebook page, "There is something extremely important and valuable when we hear our church elders and statesmen, who have led this church for decades, talk about the importance of voting YES to the question of Unity of the Church and Yes to its Mission going forward - and doing so in saying YES to the vote that is before the global church in July." Women's ordination has been a source of discussion and study in the Seventh-day Adventist denomination for over four decades, and the six speakers in this video have been among the church leaders who have shepherded the discourse through the entire study process. For extended statements from Paulsen, Bradford, Bullón, Rock, Johnsson and Rodriguez, visit AdventistElders.com.